Just for a change of pace from my usual posts, here are my brother and sister-in-law’s dogs, Casey and Finnegan. Names inspired, of course, from the TV show, Mr. Dressup (it ran on the CBC from 1967-1996). I loved summer mornings as a kid, I’d go out outside and play, then run inside for Mr. Dressup at 10:30 (and then make a mess trying to re-create whatever craft Mr. Dressup did on the show that day – the palm trees made out of strips of newspaper and cardboard tubes was probably my most successful one!) And you though this was a post just about dogs! 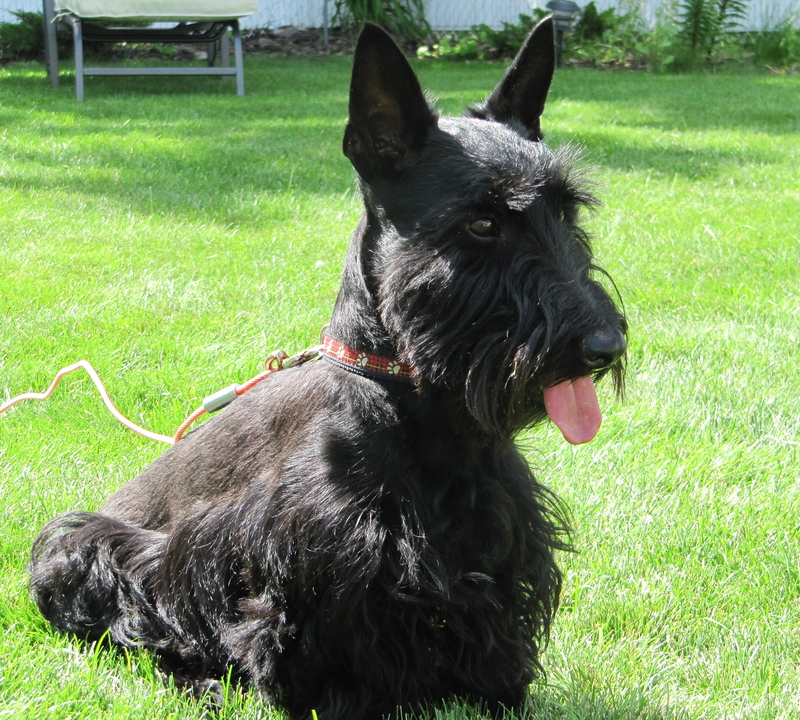 This entry was posted in Photography and tagged dogs, Mr. Dressup, photography, Scottish Terriers, summer, writing. Bookmark the permalink. They are! Finnegan can be a bit aggressive, though and Casey is like the little brother that just wants everyone to like him! So cute. I just barfed. Oh Jenni, you make me laugh. 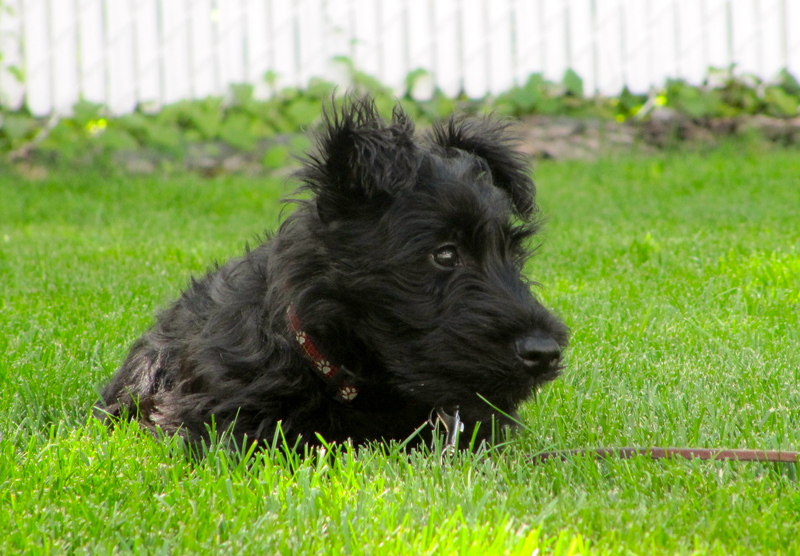 Those are my two best pics of the Scotties – you probably have better ones of them than I do! Casey, you need to learn to pose better so I can take better pictures.